The streets of Kathmandu are bustling with traffic today as the spring climbing and trekking seasons get underway in the Himalaya. Over the next few days, hundreds of mountaineers and backpackers will descend on the capital of Nepal before setting out for the country’s legendary hiking trails and unmatched alpine settings. For many, this will be a trip of a lifetime, taking them on a grand adventure into the very heart of the Himalaya. And for a select few, it is the chance to stand on top of some of the highest mountains on the planet. For most of these visitors, the first stop on their journey is to the Thamel District of Kathmandu. This popular tourist destination is home to most of the city’s hotels and it is a great place to grab that last piece of gear you need before heading out into the mountains. Gear shops line the streets in this crowded and noisy part of town but not all of them are completely honest about the products they sell. In fact, if the deal on that North Face jacket or sleeping bag that you’ve had your eye on seems too good to be true, it’s probably because it is actually a cheap knockoff. Sure, it may survive the trip but don’t expect it to perform well or hold up over time. After a day or two in Kathmandu, its time to head out to the Himalaya themselves. For those traveling to Everest, that mans a short flight to the mountain village of Lukla and the infamous Tenzing-Hillary Airport, named after the two men who first successfully summited the world’s tallest peak. Others will depart KTM for Pokhara, a city that grants access to the Annapurna Trekking Circuit and three of the highest mountains in the world – Dhaulagiri, Manaslu and Annapurna itself.Most trekkers will spend a couple of weeks hiking through the Himalaya, spending their days on breathtakingly beautiful trails and nights in local teahouses. Those quaint inns offer comfortable accommodations, tasty food and shelter from the frequently changing weather. A trek to Everest Base Camp takes roughly 10-12 days to complete depending on the selected route and speed. The entire journey is a blend of adventure, culture and Buddhist spirituality that also just so happens to take place in one of the most spectacular settings on the planet. For the climbers the journey is a much more difficult and demanding one. Their arrival at Base Camp is just the start of their adventure and over the following six weeks or so, they’ll spend most of their time acclimatizing to the altitude, honing their mountaineering skills and moving up and down the mountain. They’ll push themselves to the absolute physical limit, all the while keeping their eyes on the weather, just to get the chance to stand on the summit for a few brief – but glorious – minutes. Traditionally, the climbing and trekking seasons begin as the snows of winter recede and end with the arrival of the Monsoon in early June. During those few brief months, the various teahouses and base camps will be crowded with mountaineers and adventure travelers who share the camaraderie of the trail. It is an experience unlike any other and one worth taking for those who enjoy their travels to be off the beaten path and bit more active. We’re big fans of Google Street View here at Gadling and over the past few months we’ve enjoyed the addition of the Grand Canyon, Great Barrier Reef and the Amazon River, amongst other destinations. Through the use of modern technology, Google has given us the opportunity to explore some very exciting places without ever having to leave the comfort of our own homes. Now, with its latest addition to the Street View Collection, the Internet search giant is taking us to new heights as they take their high-tech cameras to the slopes of some of the tallest mountains on the planet. The latest Street View gallery is entitled “The World’s Highest Peaks” and it includes views on and around four of the Seven Summits, which consist of the tallest peaks on each of the seven continents. Those locations include Everest Base Camp in Nepal, as well as the summits of Kilimanjaro (19,340 feet) in Tanzania, Elbrus (18,510 feet) in Russia and Aconcagua (22,841 feet) in Argentina. The gallery also spotlights various other sections of each of those mountains, including some of the more well known mountaineering camps or other landmarks, such as the famous Lava Tour on Kilimanjaro. Not all of the images in the new gallery are captured from such lofty heights, however. For instance, the Himalayan village of Namche Bazaar is given the Street View treatment, allowing us to take a virtual stroll along its narrow walkways. The Google cameras were even allowed inside the colorful Buddhist monastery in Tengboche, a popular attraction for those trekking to Everest. If you’ve ever wondered what it was like to climb these peaks but the thought of the thin air makes you light headed, then this new gallery is just for you. Enjoy the heights of these iconic mountains without ever stepping foot on any of them. Trekking in Nepal has long been a staple of adventure travel and one of the more popular trekking routes is the path to Everest Base Camp. Every year, thousands of hikers make the pilgrimage to the tallest mountain on the planet just to soak up the culture and landscapes of the Himalaya. It is a beautiful and challenging hike that will certainly leave a lasting impression on all who go. This year, adventure travel company Discover Outdoors has teamed up with non-profit Kids of Kathmandu to organize a special trek to EBC that will be used as a fund raising program to help a local orphanage in Nepal. The trek, which takes place September 26 – October 13, is limited to just 12 to 15 participants. Those wishing to take part can choose to either pay $2995 of their own money or commit to raising $9000 in funds that go directly to the orphanage. Once the $9000 goal is reached, the trip is completely free for the participant. All of the funds raised by the charity trek will go towards the installation of solar panels at an orphanage in the town of Bhaktapur. Like many places in Nepal, the village is prone to rolling blackouts and long periods without electricity. The solar panels will help alleviate this problem by providing power for the children living there. Those who elect to help raise funds for this project will also be given the opportunity to visit the orphanage and meet some of the children whose lives they are impacting. More information on the trek can be found on the Discover Outdoors website including a full itinerary, tips for planning for the trek and details on fundraising efforts. Learn more by clicking here. 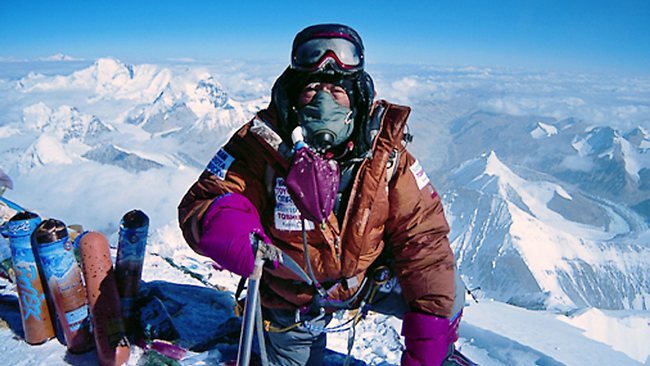 On May 29, 1953, Edmund Hilliary and Tenzing Norgay became the first men to summit Mt. Everest, the world’s tallest peak. Their daring and historic climb ended a decades-long quest to conquer the 29,029-foot mountain and by accomplishing that task, the two men became instant celebrities across the globe. To celebrate that amazing feat, adventure travel company Ace the Himalaya is organizing a 60th anniversary Everest Base Camp Trek that will allow guests to walk in the footsteps of the two legendary climbers and leave a lasting impact on the mountain at the same time. The 18-day itinerary starts on May 19 when travelers first begin arriving in Kathmandu. They’ll spend the following week trekking through the beautiful Khumbu Valley, passing snowcapped peaks and tiny villages before eventually arriving in Everest Base Camp on May 28 – exactly one day before the 60th anniversary of Hilliary and Norgay’s climb. After camping overnight in BC, the trekkers will spend May 29 contributing to the environmental cleanup in and around Base Camp by collecting trash that has accumulated there. They’ll then wrap up the day with a special celebratory dinner prepared to honor 60 years of climbing on the world’s most iconic peak. The final days of the trek will be spent descending back down the Khumbu Valley and returning to Kathmandu. The itinerary ends on June 5 when the travelers depart for home. Click here for a detailed look at the full schedule. 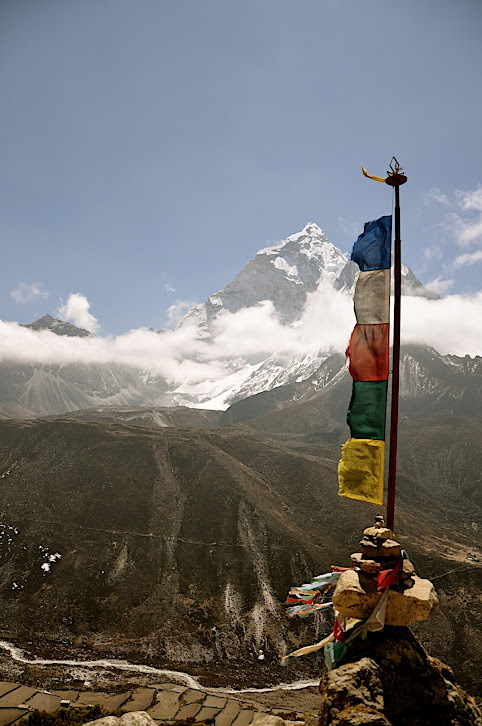 An Everest Base Camp trek is one of the best adventure travel experiences that active travelers could ask for. The Himalaya are simply breathtaking and the hearty people that live in the mountains are friendly and accommodating. Making the trek to celebrate the 60th anniversary of the first ascent of the mountain would make for an unforgettable journey. But if you’re looking for the complete Everest experience, Ace the Himalaya also offers a full climbing expedition that will take you all the way to the summit. That one takes adventure to an entirely new level.